Set out 12 mini cupcake cases on a tray. To make the base: Whip coconut sugar and butter together. Add all remaining base ingredients and stir well. Fill cases 2/3 of the way full. Place in the oven and cook for about 10 minutes. To make the topping: Melt coconut oil and chocolate together. Spread on top of the cupcake and shape like a nest. 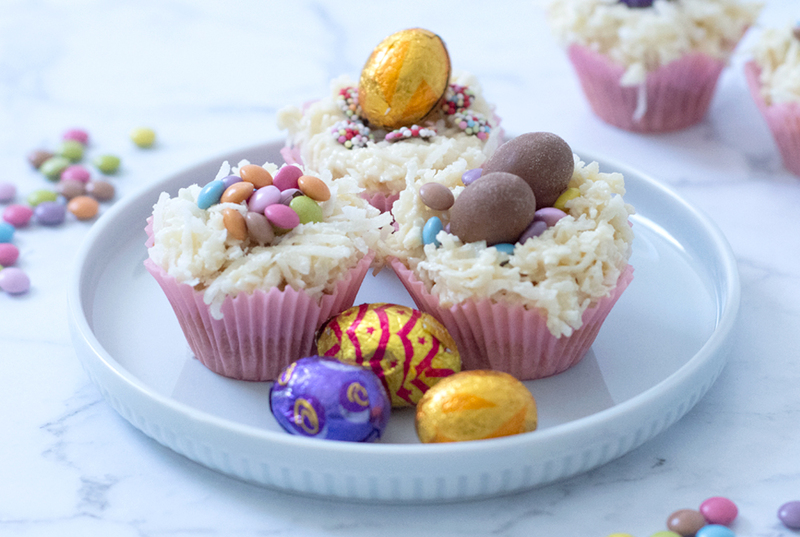 Sprinkle mini smarties and chocolate egg s on top. Best stored in an airtight container for up to 5 days.